There are two separate National Breastfeeding Weeks in 2018: from the 18th to the 22nd we are celebrating with colleagues in Wales and Scotland; and from the 25th to the 29th we will be celebrating with colleagues in England. We’ll be adding to this page throughout the weeks. For Scotland the focus has been directed by the findings from the Scottish Maternal and Infant Feeding Survey. In Wales the focus is on increasing breastfeeding rates in the country. I have my own small private Breastfeeding Consultancy in very rural South-west Scotland. Until very recently, I was one of only 2 IBCLC’s on the LCGB website listing for the whole of Scotland, so it’s good to see that the Scottish listing is now up to 8, though mostly in the central area of the country. 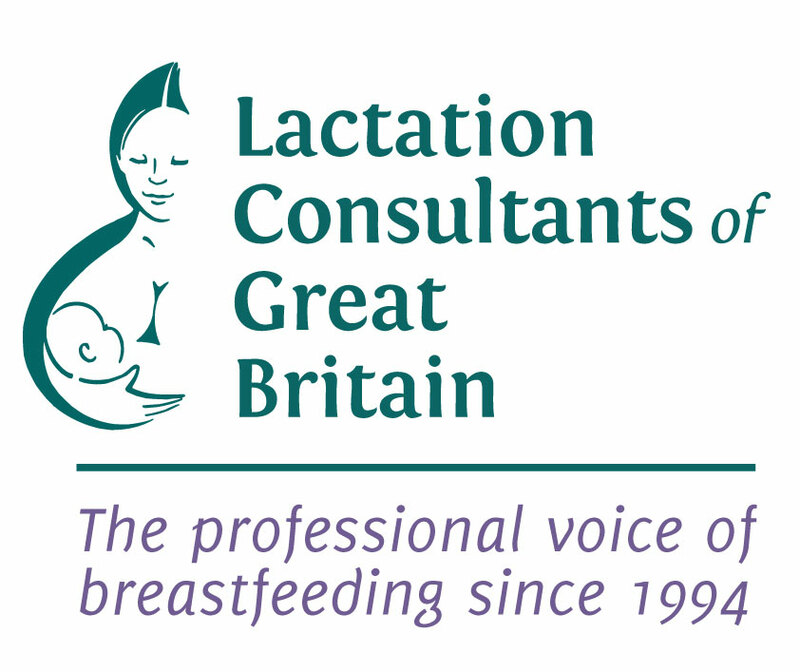 The term ‘Lactation Consultant’ is still relatively unknown in this part of the UK so I tend to spend quite a bit of time explaining what I do and how I’m different to the majority of NHS staff that mums will meet on their breastfeeding journey. 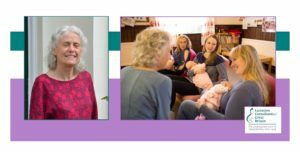 I’ve been actively helping mums and babies for close on thirty years now, first as an NCT BFC, then as a Peer Support Co-ordinator with the NHS, and latterly running my own show. 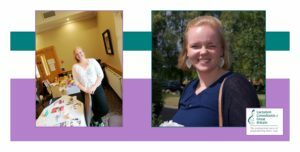 I’m proud of having taken this route to becoming an IBCLC – I think it has given me a very rounded, mother-centred approach. When I first qualified as a BFC, I used to give talks to the student midwives, who were amazed and not a little jealous, to hear how extensive our training was. While I was working for the NHS, I realised that there were still many breastfeeding issues that were a mystery to me. I just couldn’t understand why some mums and babies had difficulties. So, after a bit of soul- searching – (My manager at the time told me she didn’t know why I was ‘bothering’, on top of which, I had sworn never to take another exam, ever!) I decided to start along the road to becoming an IBCLC. All paid for entirely by myself, and all done in my own time – flying down to the other end of the country for 3 weekend workshops in Southampton, and many hours studying at home during what was a very warm summer. Finally, in 2006, as a non-health professional, I was thrilled to pass the exam with a great mark, and to finally be able to put the letters IBCLC after my name. After 13 years with the NHS, learning so much, from so many mums and babies along the way, the time finally came to move on and I now love being able to work to my own timetable. I feel that the most important thing I offer mums is time. Time to take them seriously, time to listen to their stories, time to consider all the aspects of their unique situations and time to try different ideas and practice ways of getting truly comfortable. Those who I see really value that and often comment on how nice it is to feel someone is actively listening as well as being able to make a difference. My aim always is to enable mums to feel confident and comfortable – and that is not always a quick fix. In addition to consultations, I run ‘Curious about Breastfeeding’ sessions for parents-to-be and Breastfeeding preparation classes. And I hold ‘parent chats’ on topics like feeding older babies, going back to work, tips for expressing etc for our fantastic local mum-led charity ‘Bump. Baby and Beyond’. Plans for the coming years include work to set up a free clinic service for those on low incomes and training sessions for local businesses on how to support breastfeeding women in their return to work. There is always something new to keep me busy!! I’m originally from Germany, where I worked as a paediatric nurse on a NICU and trained to become an IBCLC Lactation Consultant. I now work as an IBCLC in a private practice in Glasgow and have started a free Infant Feeding Drop-In Group. It is open for pregnant women and all mums, no matter what their feeding choices are, as I do not want any mum to feel left alone on their feeding journey. “it is a relief to hear that other mums have had the same breastfeeding challenges”. We mostly have breastfeeding or combination feeding mums in the group. In Germany we call combination/mixed feeding ‘colourful breastfeeding’. The long-term goal behind it, is of course, to offer the support to switch to exclusive breastfeeding. That goal, though, might not be achievable for everyone. Therefore, the short-term goal is, to at least, keep breastfeeding colourful for as long as possible, instead of, for example, breastfeeding exclusively for only two months and then giving formula exclusively thereafter. And every mother should get the support she needs in her individual situation: every drop of breastmilk counts.